The report covers fiscal years 2013 through 2017. 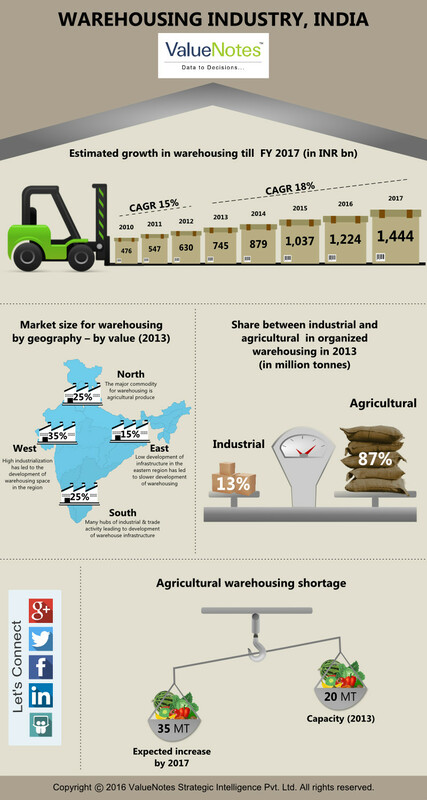 The warehousing industry in India is currently valued at INR 745bn (FY 2013) and has been growing at ~15% for the last 3 years. ValueNotes estimates that the industry will grow at a rate of 18% till 2017.